Sorry kids: One bright, punishing morning sometime in your mid-to-late twenties, you’re going to wake up after the usual night of pounding the brews with a truly brutal hangover. Not the hangover you’re used to — you know, the kind you can sleep through, still go to work on, joke about, or reverse with a cup of coffee and a breakfast burrito? 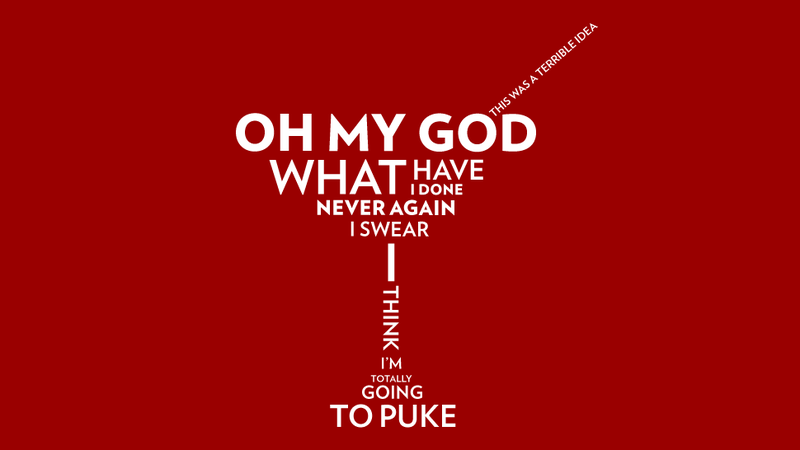 I’m talking about the new reign of terror in your life: Adult Hangovers. No matter how you slice that lime, you just can’t get drunk like you used to. But all is not lost. With this totally responsible plan for drinking that almost takes every bit of the fun out of it, you can still get your buzz on and stay functional. Obviously, something is happening right now inside your body and brain as you pass from being Unquestionably Young into being Merely Alive. Guess what? You’re human now, no special asterisk. And that means you feel the sweet pain of gravity tugging at your mortality like a frayed bra strap threatening to pop. You can’t snap back from routine injuries and bad choices like you used to. That bounce-back factor you took for granted in your recently younger youth just high-tailed it out of here in a cab and took last night’s best Twitter jokes with it.